Further testing on the main board (right ). I think I’ve located the problem, one of the 4580 in the Mix-B path is at 14.80v on all it’s pins… Gonna swap that with a new one and see if it changes anything. To do so i’ve bought a desoldering station so i’m waiting on it to be delivered. 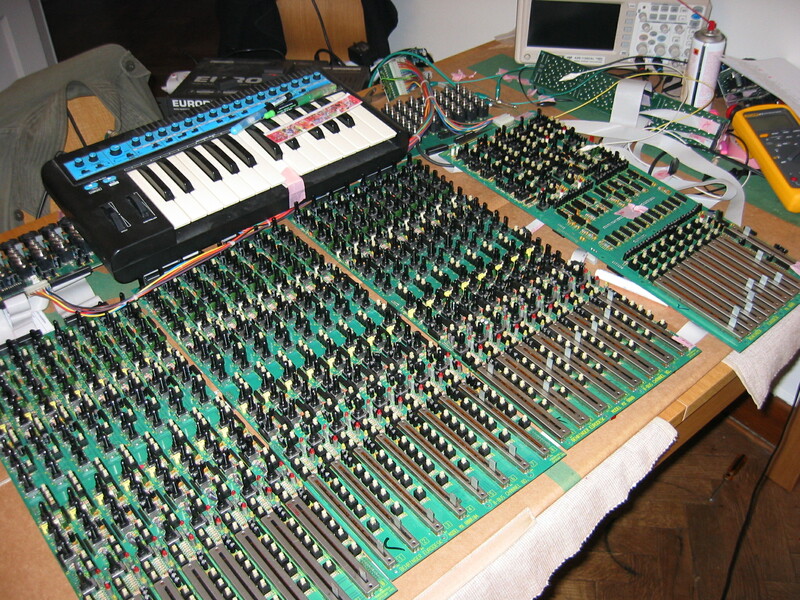 This entry was posted in repair, sdiy and tagged behringer, MX8000, repair on 10/05/2014 by Terence Hacke®.